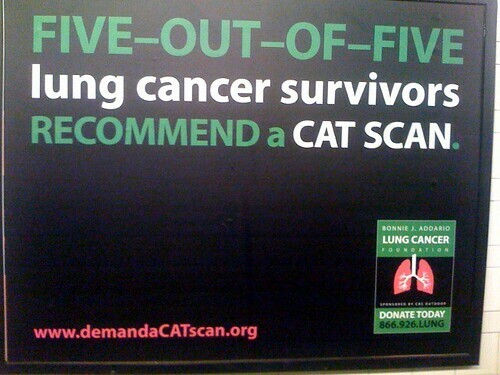 NYC Subway Ads -- Lung Cancer, originally uploaded by KidneyNotes. 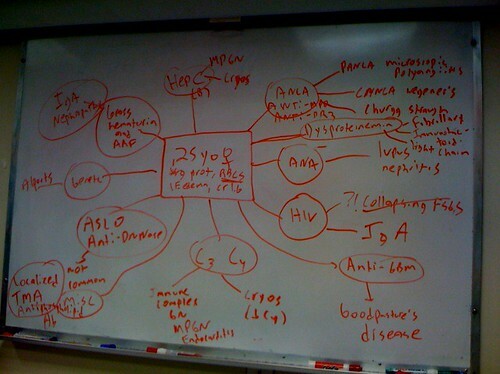 Nephritic Syndrome Workup, originally uploaded by KidneyNotes. Jonathan Coulton, Merlin Mann, Leo Laporte, and Veronica Belmont Perform "Still Alive"
More thoughts on "Still Alive" and Portal here. Recent research has shown that dance, specifically tango, may be an appropriate and effective strategy for ameliorating functional mobility deficits in people who are frail and elderly. Individuals with Parkinson's disease (PD) experience declines in functional mobility that may be even more pronounced than those experienced by frail elderly individuals without PD. The purpose of this study was to compare the effects of two movement programs: tango classes or exercise classes. Nineteen subjects with PD were randomly assigned to a tango group or a group exercise class representative of the current classes offered in our geographical area for individuals with PD. Subjects completed a total of 20 tango or exercise classes and were evaluated the week before and the week following the intervention. Both groups showed significant improvements in overall Unified Parkinson's Disease Rating Scale (UPDRS) score and nonsignificant improvements in self-reported Freezing of Gait. In addition, the tango group showed significant improvements on the Berg Balance Scale. The exercise group did not improve on this measure. Finally, the tango group showed a trend toward improvement on the Timed Up and Go test that was not observed in the exercise group. Future studies with a larger sample are needed to confirm and extend our observation that tango may be an effective intervention to target functional mobility deficits in individuals with PD. According to the Chief Medical Examiner of New York, Heath Ledger "died as the result of acute intoxication by the combined effects of oxycodone (Percocet), hydrocodone (Vicodin), diazepam (Valium), temazepam (Restoril), alprazolam (Xanax), and doxylamine (Unisom)." Hospital staff can easily tell when the medical center has hired new telephone/paging operators: They sound absolutely terrified when they announce codes. Note: If you're sick, frozen pedialyte pops aren't half bad.